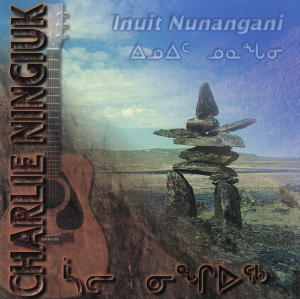 Explore Canada’s north with Charlie Ningiuk, a unique artist that combines modern feelings, sounds and instruments with traditional language, culture and influences caressed by the Canadian Arctic atmosphere. 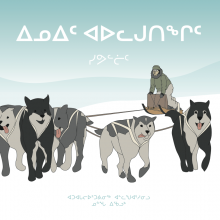 This CD provides world music fans with a dynamic side of Inuit music, pure sounds inspired by native northern roots. Come along for a colourful musical ride! Charlie was born in 1963 in Iqaluit, Nunavut (on Baffin Island in the Canadian Arctic) and that’s where his musical history started, when he began elementary school in Iqaluit. In the 1970s, he started making songs while on his way to school to the beat of his footsteps. The first time he touched a guitar was at the age of 12 in 1979 when he started junior high. He didn’t learn much then until he moved to Inukjuak in Nunavik. There his friends started a band and that’s when he really got hooked. After following the band of his friends for about 4-5 years, he started his own band using instruments from the community center. His musical influences at the time were from Nunavik artists like Sikumiut, Sugluk Band, Charlie Adams, and especially Willia’s band from Inukjuak. All of them with soft rock to hard rock influences, which has stayed in Charlie’s music. After a year of practicing with his band they started playing at the local community center every Friday night. Word of his music quickly traveled across the north with a strong demand for him to perform all across the arctic. During his musical career, he has always played his own compositions. The year that he started performing in public, Charlie’s band showcased in Inukjuak’s festival in Nunavik, and that became the beginning of his travels across the north.